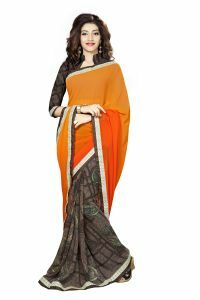 Indian Sarees is the most Elegant & Exotic Ethnic Women's Wear. 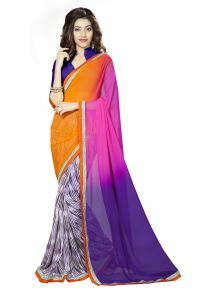 This Beautiful Tarditional Ethnic Sari is ideal for womens of all age group and can be draped for any occasion like Party Wear Sarees , Casual or Traditional festivals and Gifting. This Printed Georgette Brasso Saree comes with Bhagalpuri Printed Lace and Raw Silk Blouse Material. Total Lenght is 6.3 mtrs ( saree: 5.5 mtrs & Blouse: 0.80 mtrs ). Original Laxmipati Sarees.